The present Grade I Listed building was built c. 1400 and seats about 250 people. It is situated in the centre of the village and is in good repair. St James is famous for being the location of John Constable’s best altar piece "Christ blesses the bread and wine" and is unique in that it is the only one of its kind still in the original location for which it was painted. The church enjoys a refurbished organ "William Jones Organ" which is regularly played by a voluntary organist for the enhancement of our services. There are regular weekly coffee mornings (10am to Noon, most Wednesdays). Other groups include Bell Ringers, Flower Arrangers, Cleaners, Churchyard Working Party and an small but dedicated choir. St James is now the only worshiping community in the village. The clergy and pastoral team aims to offer spiritual support to all within our community. The Parish actively supports Christian Aid and other church charities including the Suffolk link diocese of Kagera in Tanzania. 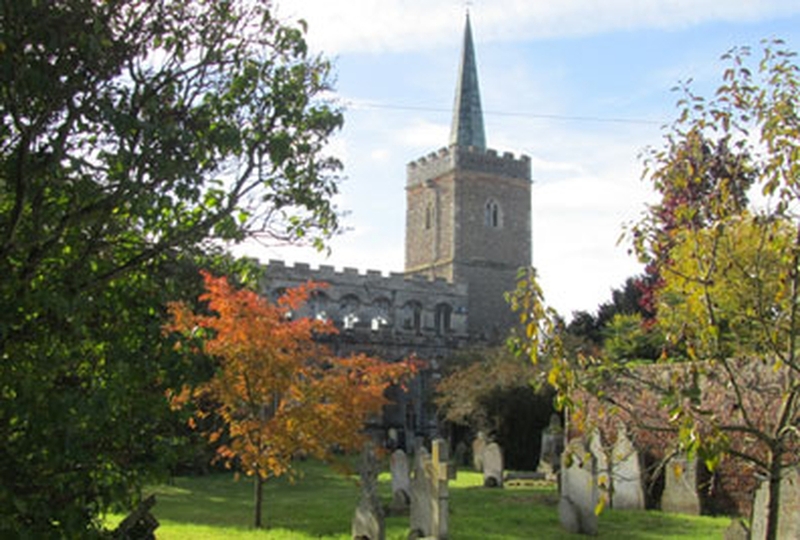 St James' is part of the Benefice of Stoke-by-Nayland with Leavenheath and Polstead, and Nayland with Wissington; part of the Hadleigh Deanery. Join us every Wednesday Morning from 10am to Noon for an informal chat over a coffee/tea and usually some wonderful home made cakes.